(Bloomberg) – Zimbabwe’s top court dismissed the main opposition’s bid to overturn the results of last month’s disputed presidential election. 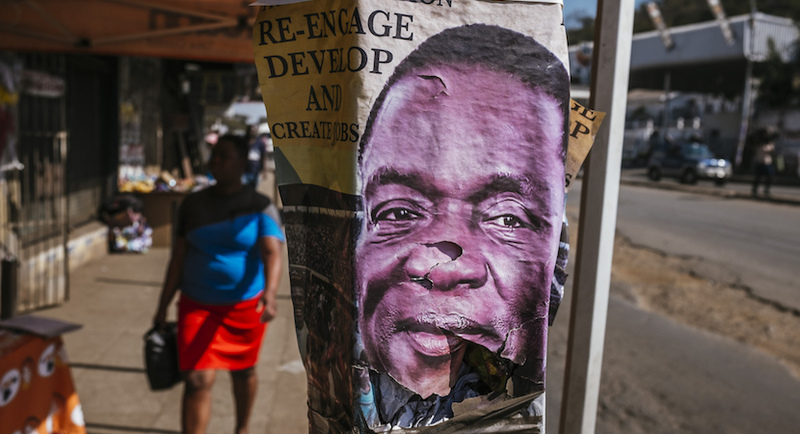 The ruling confirms the victory of incumbent President Emmerson Mnangagwa, a 75-year-old former spy chief who has wooed international investors as part of his pledge to rebuild an economy devastated by decades of misrule under former President Robert Mugabe. A nine-member panel of Constitutional Court judges found the Movement for Democratic Change’s challenge failed to provide evidence of irregularities in the vote, Chief Justice Luke Malaba said Friday in the capital, Harare. There is no avenue for appeal under Zimbabwean law. The MDC had alleged that the Zimbabwe Electoral Commission rigged the July 30 vote in favour of Mnangagwa and that its leader, Nelson Chamisa, was the rightful winner.